San Clemente, CA July 12, 2008 -- Medelita™ introduces a breakthrough in medical apparel for female clinicians, including intelligent innovations that redefine the way women in healthcare present themselves professionally. Developed by seasoned Physician Assistant Lara Manchik, Medelita offers an array of long-overdue and first-of-their-kind enhancements in the quality, comfort, performance and fit of scrubs and lab coats worn by female clinicians at http://www.medelita.com. "Clinician scrubs and lab coats have not changed since the 1970s," explains Manchik. "Medelita originated out of a very real and urgent need among female clinicians, myself included, who were frustrated with the shapeless unisex style scrubs made from uncomfortable fabrics. Female clinicians are consummate professionals who deserve a uniform that reflects their confidence and poise. Until Medelita, we simply had no other choice. Now, finally, we do." In creating the Medelita line of clinician scrubs and lab coats, Manchik introduced a number of welcome, first-time innovations. While maintaining many of the traditional scrubs features, Medelita provides a professional and flattering fit for the female form never before seen in the typical unisex scrubs. Clinician scrubs tops feature darting at the bust, tapering at the waist and hips, and tailoring at the sleeves, while clinician pants include a subtle, slimming bootleg, contoured rise front to back, and flattering seam placement. Combined with thoughtful features such as side panel pockets and a hidden money pocket, Medelita clinician scrubs allow women to look and feel their best at work. Manchik paid equal attention to form and function in designing the Medelita clinician lab coat. 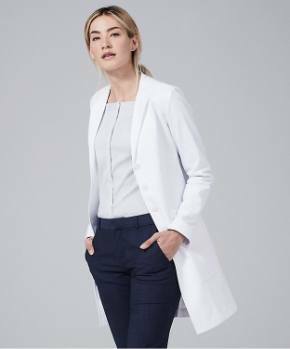 Featuring a rounded feminine color, tailored shaping, finished inside seams, high-quality buttons and a flattering back waist belt, Medelita lab coats look as professional as the women who wear them. 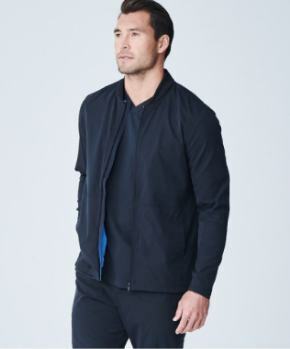 Based on her years working in a fast-paced ER environment, Manchik also understands the importance of comfort and performance as well as style and fit. Hand-sewn in the U.S.A. using the finest quality fabrics, Medelita clinician scrubs and lab coats maintain their supreme softness, wash after wash. 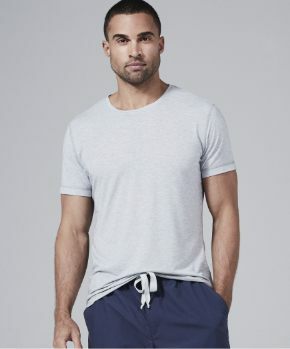 While comfortably soft, they are also extremely durable, thanks to a number of high-performance, cutting-edge fabric technologies never before used in medical apparel. 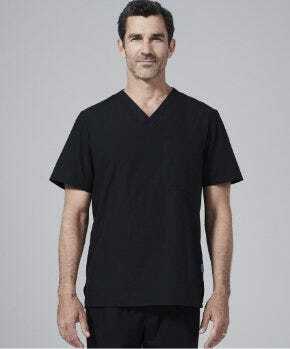 Clinician scrubs feature moisture-transferring Dri-release® technology and bacteriostat FreshGuard® microblend technology by Optimer, which help keep the fabric fresh and odor-free even after a grueling 12-hour shift. 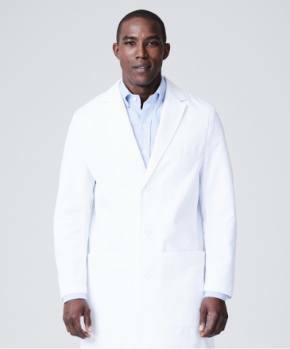 Made from ultra-soft 100% brushed cotton that resists wrinkling, the Medelita lab coats employ Advanced Dual Action Teflon® developed by DuPont® to repel liquid spills, as well as High IQ® Easycare Plus by Huntsman to maintain a crisp, professional appearance, wear after wear. These innovations are quickly capturing the attention of appreciative female clinicians around the country. An early adopter of Medelita, Long Island Physician Assistant Jamie Huggler expresses her excitement at wearing her Medelita scrubs and lab coat on the job. "Now I look forward to going to work. I look better, feel better, and am simply more comfortable while doing my job. This is exactly what young, professional women in healthcare have been looking for." More than an innovative line of medical apparel, Manchik is dedicated to creating a supportive community of women in healthcare who deserve recognition and respect for the important work they do, often so selflessly. "Medelita is something women can do to reward themselves," says Manchik. "As a company, we want to reward them as well. That's why we've dedicated a section of our web site to celebrating Women In Healthcare, by giving visitors the opportunity to nominate and shine the spotlight on exceptional women who inspire us all." Medelita clinician scrub sets and lab coats, as well as an innovative line of nursing scrubs, are currently available online at http://www.medelita.com, and can be ordered by phone at (877) 987-7979. Group sales and custom embroidery are also available.